Quite possibly the world's largest wristwatch, there's only a thousand of these ultra-stylish, oversized timepieces up for grabs, each one with its own unique number. 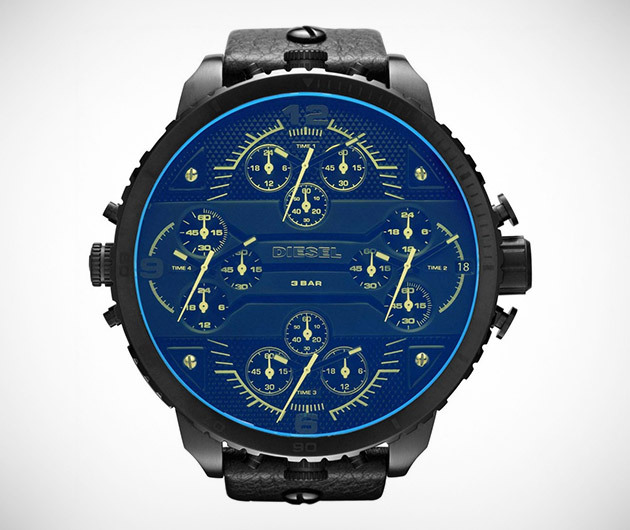 The Diesel Grand Daddy Limited Edition sports four individual chronographs and is forged from gunmetal steel and laser crystal. Water resistant to 100 feet.